1) Emily Blunt giving you leg, body and more in this bold green gown! 2) Viola Davis is glowing in Marchesa. 3) Sofia Vergara highlights her curves in a bright fuchsia number by Marchesa and Thale Blanc. 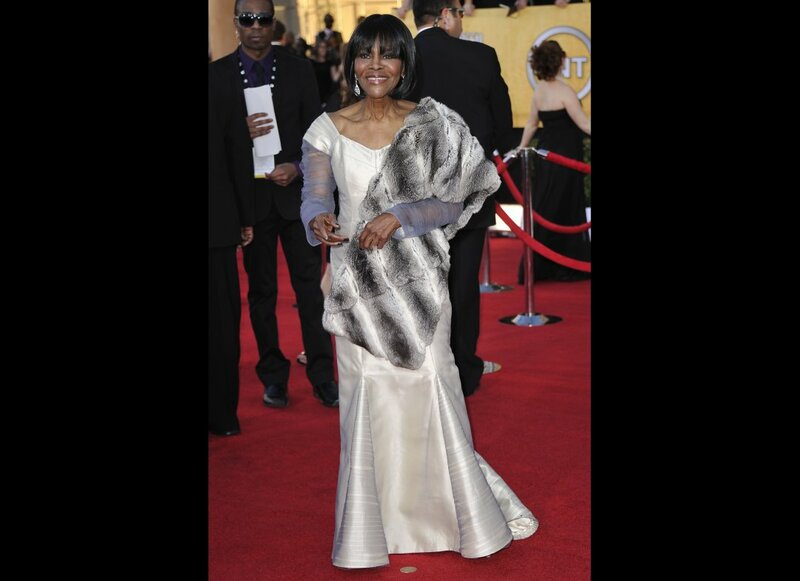 4) Cicely Tyson looks radiant and uber-glam…timeless beauty. Viola Davis was killing them! Loved her look it was perfect! Yes! She looked fab—her skin was flawless and glowing, the dress fit just right…..perfection! I loved Emily Blunt and Sofia Vegara but Michelle Williams got my pick for Best Dressed of the night! Oh Michelle looked great too! I’m a but bias when it comes to Emily she was rockin my fave color…green!